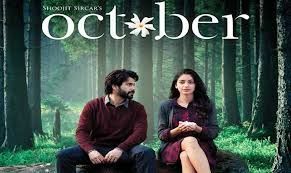 Please note October (Hindi) Movie occurred in past. 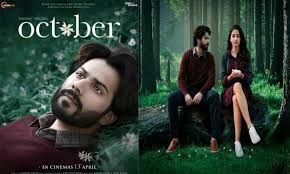 Dan (Varun DHawan) is living the life of any carefree 21 year old, revolving around a bunch of friends and fellow hotel interns who feed off each other's everyday moments, their ups and downs. Shiuli (Banita Sandhu) is one such intern at the same hotel, who at times is at a receiving end of Dan's audaciousness. Life goes on until a sudden turn of events smashes Dan and Shiuli's lives together, into a bond that's unlike any 21 year olds. The emotional connection between them goes through a metamorphoses that brings out a form of love that's unlike any other eventually leading to an internal awakening. October is not a Love Story, but rather a story about love.